Providing you with a complete package of pushchair, carrycot, 0+ car seat & changing bag, the MB200+ Travel System Bundle from My Babiie is an ideal solution for new parents. The included pushchair benefits from a lightweight but strong aluminium chassis and features a large shopping basket, height adjustable handle and an easy-to-operate fold mechanism. 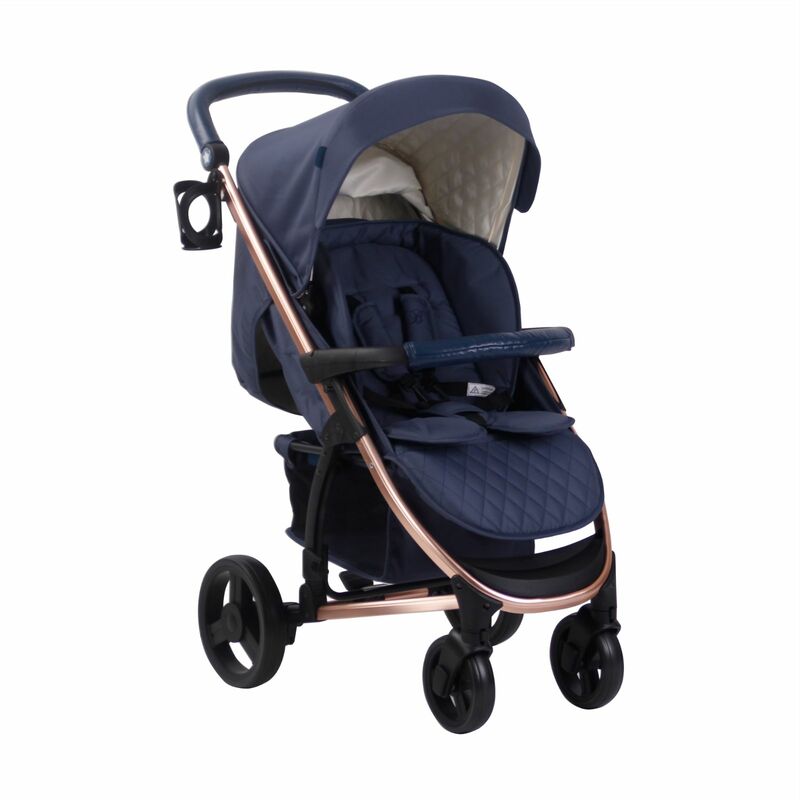 The pushchair reclines to a lie-flat position so that it is suitable from birth, as is the bassinet / carrycot which can be secured easily to the frame in order to create a cosy pram-like environment for your little one to ride in. 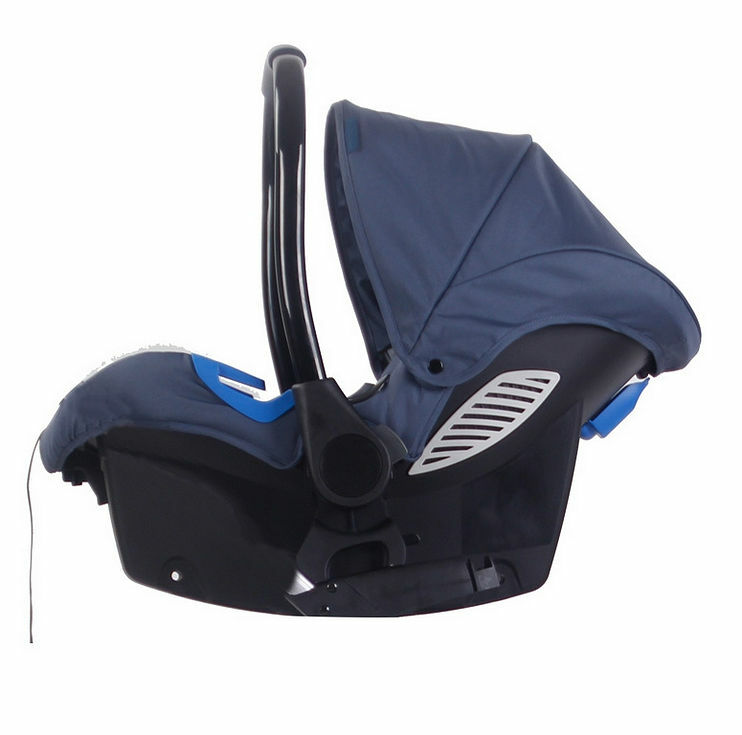 The 0+ car seat attaches to the frame just as easily, which gives you the added convenience of not having to wake your child when being transferred from stroller to car (or vice versa). The package also includes coordinating front apron, handy cup holder and a pushchair raincover for your parental convenience. 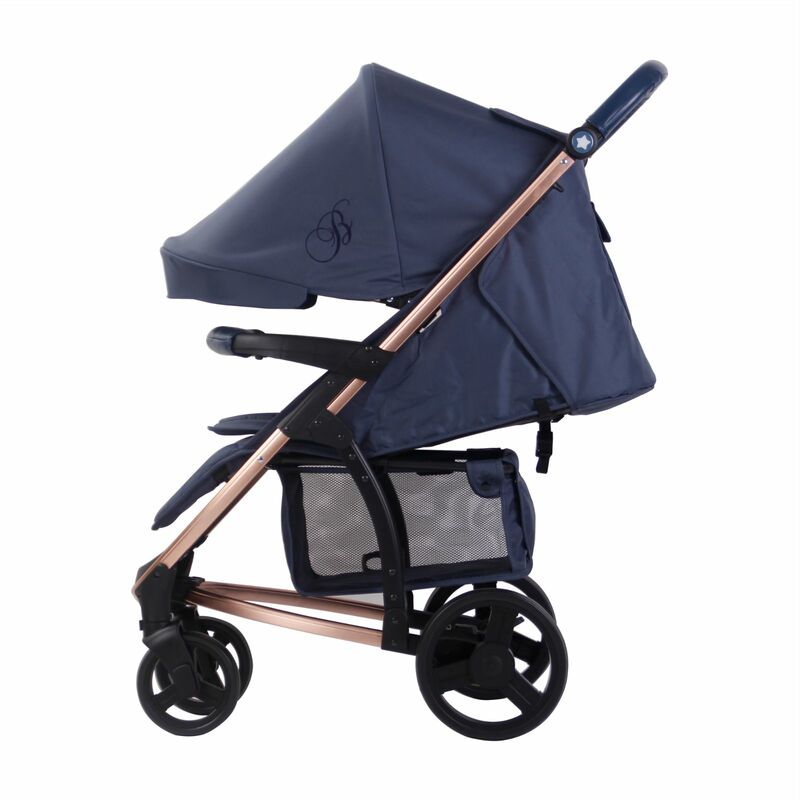 Part of Celebrity Mum Billie Faiers 'Signature' Collection, the 'Rose Gold & Navy' design is super-stylish and sure to turn heads anywhere it goes! 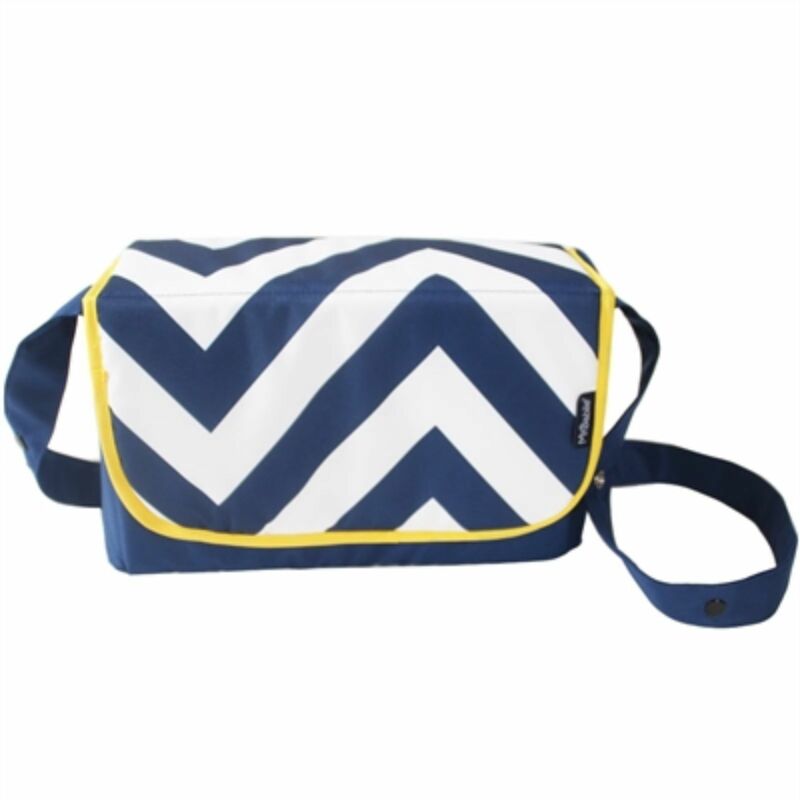 Stylish and practical, the messenger-style Changing Bag offers a durable shoulder strap and plenty of internal space for all your baby’s necessities, the changing bag also cleverly unzips out completely flat so that it doubles as a padded changing mat; ideal for hygienically changing nappies when you are on the go!